1 Re: Are u mad? Hey, I noticed you asking if we have a list of font colors; if there is one, I'm not aware of it. From my understanding JMods are able to define fonts any color of their choice if using HTML notation though, so making a list might be more troublesome than not... But, it's pretty easy to determine what base color a font uses in-game by using the Color Picker Tool / Eyedropper on a sequential horizontal-row of pixels on a lossless screenshot of game font. Here, you can see a range of font colors. The base font color is white ( #ffffff ), and it can be used as a quick reference for comparing font colors. 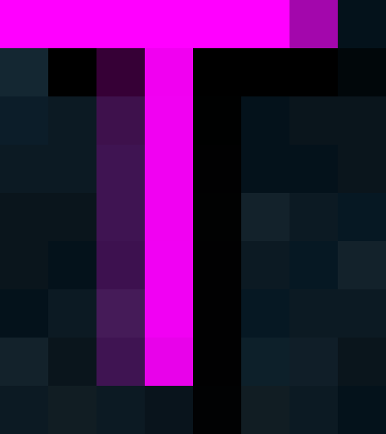 The T in Talk and Terrorbird has a long row of horizontal pixels for us to use for the color picker tool. Selecting one of the horizontal pixels with the color picker should give you the HTML notation #ff00ff. • Note: the average background color of the NIS chatbox is #0a1820. What is amazing is that after conspiring to steal her party's nomination, she faced zero consequences for that betrayal of America. What the electors tried doing was interesting but a super long shot at best.